When you think of the Amazon, you probably think of the vast and vibrant rainforest that inhabits Brazil. Many people are unaware that the world’s largest rainforest also extends into Peru, Colombia, and even small parts of Bolivia, Ecuador, Guyana, Suriname and Venezuela. Peru is home to the second-largest portion of the Amazon after Brazil. Just a 90-minute flight from Peru’s capital city Lima, Iquitos is the largest city in the Peruvian Amazon and said to be the largest city in the world that cannot be accessed by road. Only accessible by river or air, it’s your gateway into the untouched wilderness. 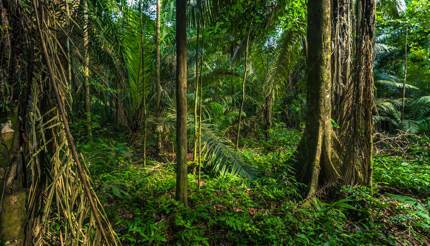 Tropical rainforests are the oldest and most complex ecosystems on the planet. The Amazon is the most biodiverse region of all, and a primary source of food, coffee, spices, rubber, oils and medicine. A quarter of today’s western medicines are derived from tropical rainforest plants, and according to the US National Cancer Institute, 70% of plants found to be most useful in cancer treatment are found in our disappearing rainforests. The secrets of the Amazon have been used in native cultures for several thousands of years. Shamans, or medicine men, pass on their knowledge of natural healing remedies, effective in treating both physical and psychological ailments. These remedies play a crucial role today in helping scientists discover the therapeutic potential of plants. If you can find a guide with a shaman’s knowledge of medicine, you’ll begin to understand the astonishingly intricate relationship of all life in the rainforest. A trip into the Amazon is best done with native guides who can share basic survival skills and the secrets of jungle medicine such as ayahuasca, a plant medicine that is said to have healing and spiritual purposes. Every year, thousands of tourists visit the Peruvian Amazon to experience with ayahuasca by drinking a bitter, dark-coloured brew containing a psychoactive drug. If a hallucinogenic elixir isn’t your cup of tea, keep a look out for Dragon’s Blood Tree; its blood-red sap can turn white when you rub it on the palm of your hands. This is said to have several uses – a natural balm to heal cuts, a salve to take the sting out of mosquito bites, and by women straight after childbirth to promote a quick recovery. Paico is another local favourite. Widely used to flavour black beans and other dishes in cooking, a tea made from Paico plant is said to kill intestinal parasites in adults if drunk for three days. The mimosa herb is also interesting. Available commercially to relieve anxiety, depression and stress, a species in Peru is said to reduce spermal fertility and used as a contraceptive. The fascinating list of jungle remedies seems endless. 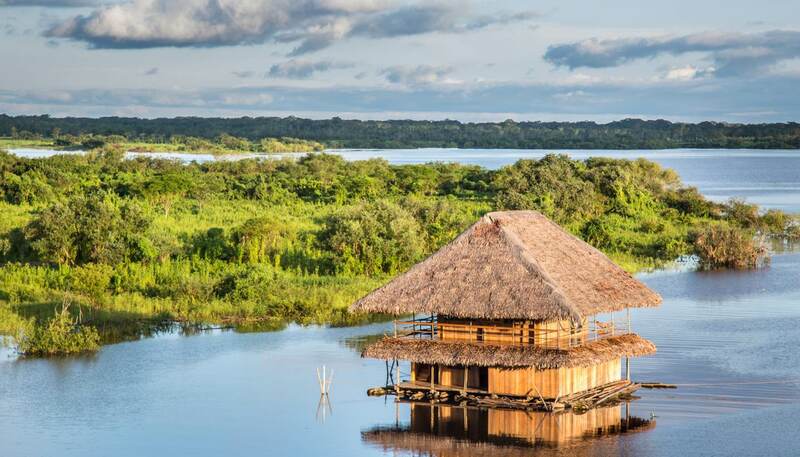 If you’re planning a trip, there are several companies offering ayahuasca retreats and tours into the Peruvian Amazon which often includes visiting a shaman who is a genuine ribereño (river person) from a small village on the banks of the Amazon. The secrets of the Peruvian Amazon extend beyond medicine to the exotic animals that are occasionally seen by local guides and lucky tourists. The jungle is alive with birds and insects, and you’re will certainly hear the cry of the howler monkey or maybe even see the more elusive squirrel monkey. 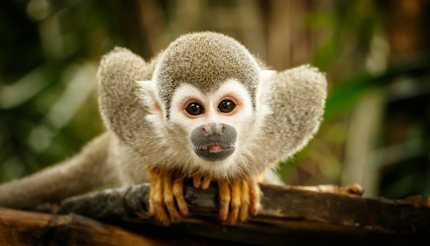 Squirrel monkeys are small, but they often travel in packs of up to 500 at a time so the chances to get see them can be high. For visitors who have time to take it slow and explore, there are opportunities to see jaguars lingering in the Amazon Basin, Amazon River dolphins playing in one of the tributaries and Caiman crocodiles sunning themselves on rocks. 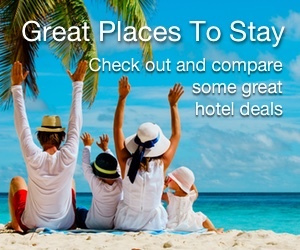 A trip into the Peruvian Amazon will surely charm you.